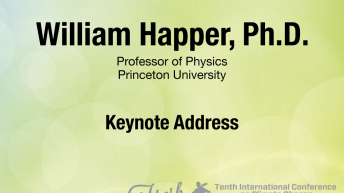 William Happer, Ph.D., is a physicist who has specialized in the interaction of atoms and nuclei with radiation. He is the Cyrus Fogg Brackett Professor of Physics (emeritus) at Princeton University, and a long-term member of the JASON advisory group, where he pioneered the development of adaptive optics , and invented the sodium guide star to eliminate astronomical imaging blurring due to atmospheric turbulence. He was the Director of the Office of Energy Research at the US Department of Energy from 1991 to 1993. Happer has been an active and influential writer and speaker on the global warming issue. He is a fellow of the American Physical Society and the American Association for the Advancement of Science, and a member of the National Academy of Sciences, and the American Philosophical Society. He received an Alfred P. Sloan fellowship in 1966, an Alexander von Humboldt award in 1976, the Herbert P.Broida Prize in 1997, the Davisson-Germer prize and the Thomas Alva Edison patent award in 2000. 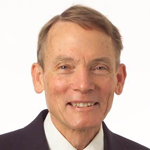 At the Tenth International Conference on Climate Change, Happer received the 2015 Frederick Seitz Memorial Award from S. Fred Singer of the Science and Environmental Policy Project (SEPP). 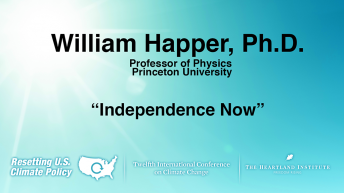 Happer is a founding board member of the CO2 Coalition, established in 2015 as a 501(c)(3) for the purpose of educating thought leaders, policy makers, and the public about the important contribution made by carbon dioxide to our lives and the economy.